The fashion industry and the many off-shoot industries of this are global powerhouse and influence around the world. Style and fashion are discussed on everything from small radio talk-shows to some of the biggest tv shows in the world. It’s everywhere, people want to know where to find the latest fashions and styles. This is a product of celebrity culture and the entertainment industry. It’s not the worst industry in the world but like all, it comes with its problems. But, that is not what I want to talk about today, today I want to look at some of the varying native styles found around the world, items and garments which have a unique look and style to them. Items which highlight people and styles of certain groups of people from around the world. These are in no order or category but some I found interesting and different from the normal style culture. A symbol of religion, persecution, liberty and choice this is probably the most controversial piece listed in this article. Without going into the complexities of this item, it has thrown up countless discussions on the rights of women in certain regions, their choices and that of others within their community. Used to show modesty and a strong connection to their religion the Burka covers the entire face and body except for the eyes. Used by many Muslim women around the world it is one item which is instantly recognisable around the world due to its complex use within the Islamic faith. This is another item of clothing instantly recognisable around the world, but most specifically associated with the people of South America in the Andean region. The poncho has long been used as a protective outer layer of clothing from the harsh cold air of the Andes. It is now a popular form of dress for many areas outside of South America due to its simple and colourful design. This is an item which has passed over form the native sphere to the popular fashion industry, but within its native area, it still has many cultural and ethical strengths. 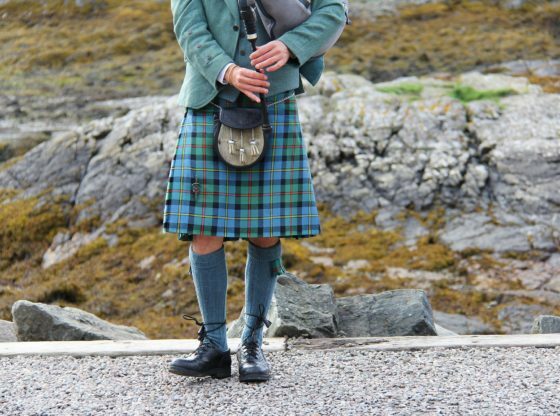 The kilt is instantly recognisable as a form of dress among Scottish males. It emerges in the 16th century as a form of everyday dress with both a top and bottom half. It is now mainly worn for formal occasions to express Scottish and Gaelic culture. Made from cotton and with its unique platted design the kilt like the Poncho has altered between popularity and is within the wider fashion industry. These are just three items of clothing form regions and people’s around the world, I thought had some interesting characteristics and history. Some you may be able to adapt to your formal wear or notice as you travel the world. Perhaps you have your own local style to celebrate and which may one day become popular like these have.